Showing 23 articles from June 28, 2014. The county commissioners met with residents across Pacific County last week to discuss the new ATV legislation that would allow registered ATVs to be driven on county roads under 35 mph and “non-highway” roads, which are roads owned or managed by a public agency. The commissioners held formal hearings in Tokeland, South Bend, and Long Beach to get feedback from residents and they will be making a decision on the ordinance in July. 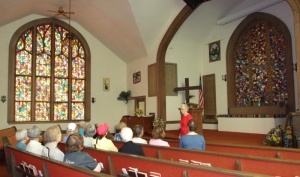 In May, Dorothy Gruginski (in red) shared the story behind the First Baptist Church's quilted stained glass windows with 13 members of the Tuesday Trotters, a hiking group from Olympia. The hikers arranged to see the windows during an outing in the area. 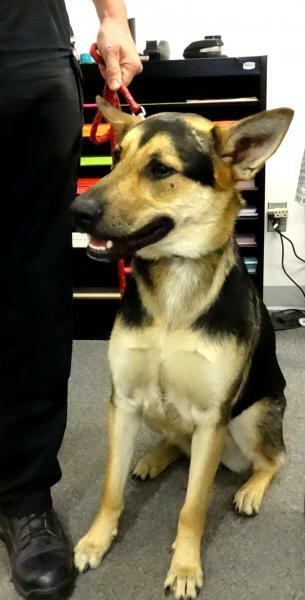 SOUTH BEND - At the regular South Bend City Council meeting last Monday, June 23, Police Chief Dave Eastham informed the Council that the force arrested six drug related suspects in one week, four of which were dealers. “Quilts on the Willapa,” the Willapa Harbor Quilters’ annual show, is scheduled Aug. 1-2 at Raymond High School. The show will be open from 9 a.m. to 5 p.m. Friday, Aug. 1, and from 9 a.m. to 4 p.m. Saturday, Aug. 2, and is free to the public. Got a great “selfie”? Or do you have a picture everyone swears is the ugliest thing they have ever seen, or a fine piece of photographic art? Well, if you do, the Willapa Heritage Foundation would love to see you submit your photographic treasure to the People’s Choice Photo Show, which will be held during the Willapa Harbor Festival, August 1st through August 3rd in Raymond. 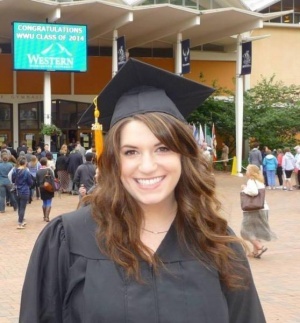 Andrea Marie Schiller, Outstanding Graduate for the Behavioral Neuroscience Department, graduated with a Bachelor of Arts degree with a major in Behavioral Neuroscience and a minor in Chemistry. Editor's Note: The Honor Roll consists of students with grade point averages of 3.2 to 4.00. Students with a GPA of 4.0 are marked with a star. While much of today’s news deals with America’s decline, there is hope we can stimulate our economy, create manufacturing jobs and pay down our national debt by increasing our manufacturing and energy production. In France, as you’re walking down the century old, cobblestone streets, a succulent smell of freshly baked breads will most likely tickle your nose. 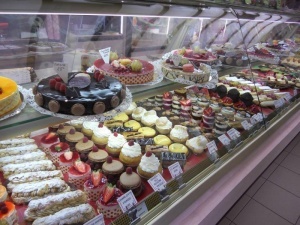 Follow the scent to its origins and you’ll find one of France’s renowned boulangeries. I just turned 65 and received my Medicare card. I see that the ID number on my card is the same as my Social Security number, and on the back of the card it tells me I need to carry it with me at all times. What can I do to protect myself from identify theft if my purse and Medicare card get stolen? I am writing to encourage people to vote for Michael Hess as County Commissioner for District 3. Thank the powers that be that Lisa Ayers wants to run for a second term of District 3 Pacific County Commissioner. While reading the latest edition of the Harbor Herald I was impressed with it's content. As people plan outdoor activities around the Fourth of July weekend, the Washington State Department of Natural Resources (DNR) is urging the public to be aware of fire restrictions in place around the state due to rising fire danger. Because the weather is warming up and vegetation is quickly drying out, fires can start and spread quickly. State Fire Marshal Charles M. Duffy is reminding Washingtonians that the purchase of fireworks over the internet is illegal. There were 341 fireworks-related injuries and fires reported to the State Fire Marshal’s Office by fire departments and hospitals in 2013. Consumer firework sales across the state will begin at noon on Saturday, June 28 and continue until 9:00 p.m. on July 5. The date is getting closer to when Washington residents will be able to walk in and purchase recreational marijuana, but you may have to travel before a retail store opens in Grays Harbor.